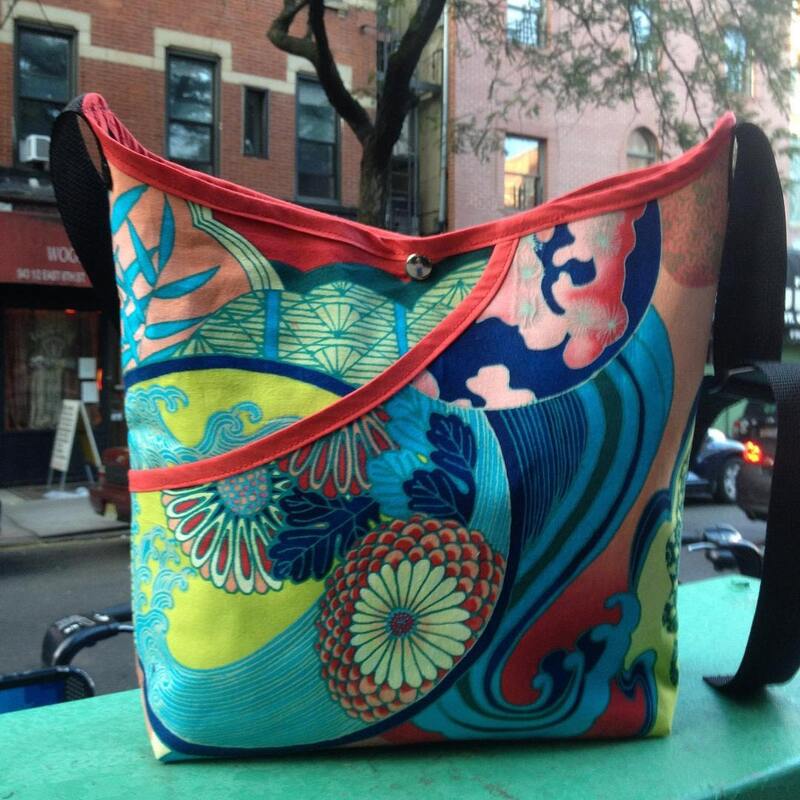 Our cotton print Asian bonsai market bag is perfect for the girl or guy on the go! 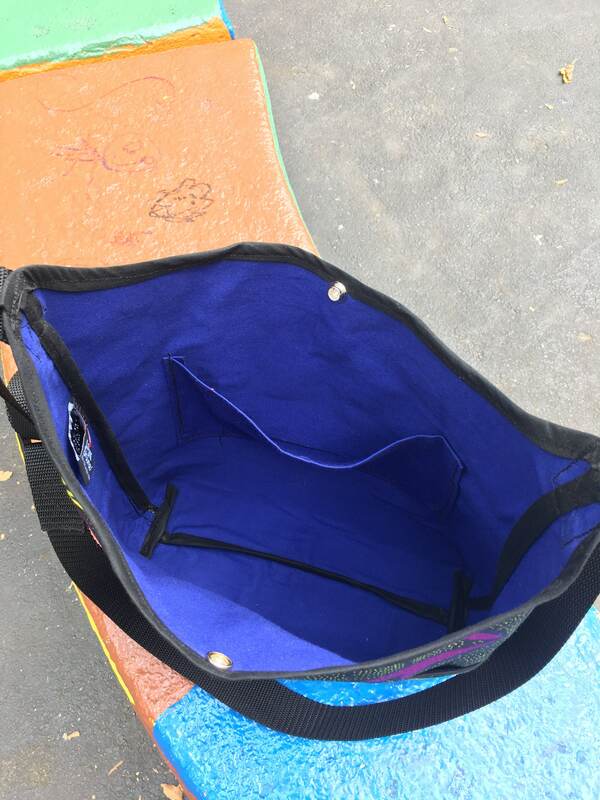 The market bag is lined with a water repellent canvas and has a large interior pocket, a larger exterior pocket to slide your hands in to keep them warm while walking ( as well as to provide additional organizational space), a snap closure and a 1.5" black adjustable polypro webbing strap. The bonsai cotton print features bright colors of green, blue, light orange and red. The print incorporates flowers, ocean waves and bamboo leaves and is very peaceful and cheerful. The adjustable straps make it easy to fit nicely on the back of a stroller or bike handles and is the perfect bag for biking, shopping, gym and traveling. This bag is machine washable.